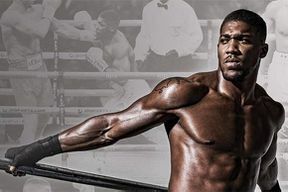 A1 Sporting Speakers return to the Palladium in May with the much loved heavyweight champion of the World. ANTHONY ‘AJ’ JOSHUA live on stage to talk about his life and career so far. AJ is an Olympic gold medalist and current heavyweight champion of the World. An Evening with Anthony Joshua is not available to book, please sign up to our newsletter for updates and offers on forthcoming and available shows.